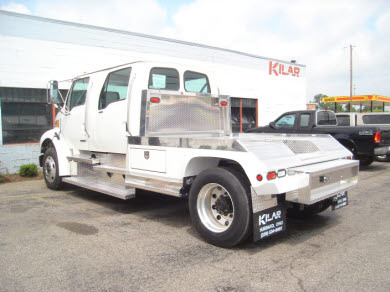 Kilar Fabrication has become synonymous with custom-built and superior carriers. Our manufacturing flexibility and design capabilities allow us to build a one-of-a-kind original product in a reasonable amount of time. Our personalized approach and diverse manufacturing proficiency have positioned us in the forefront of the automotive and industrial carrier design industry. We do not mass produce our product; we simply build to your specifications. The Kilar team has been dedicated to providing our customers with the highest quality of customized beds for 30 years. 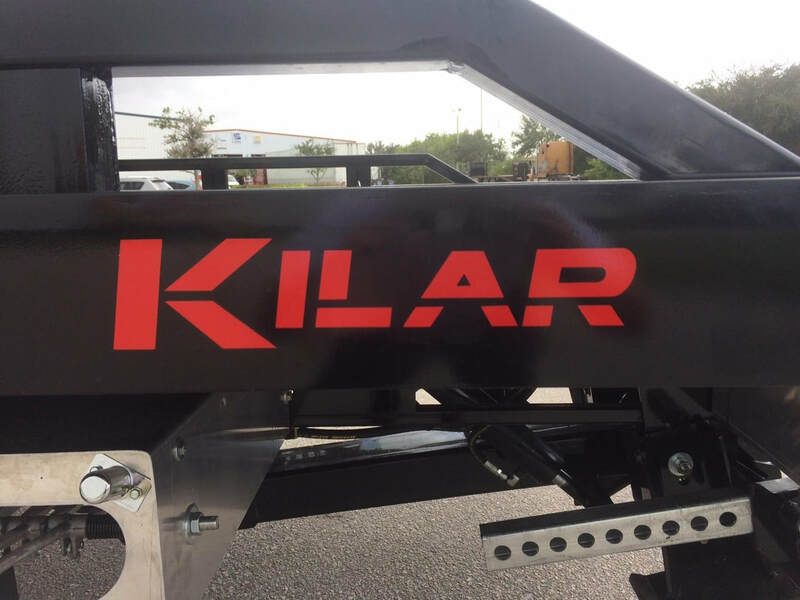 For your next carrier, choose Kilar for a durable and customized unit with the best price. After waiting for ten years, we are thrilled to have received our first Chevy since the plant discontinued production in 2009. This 6500 4x4 Chevy arrived yesterday from Robert Green Truck Division in Monticello, New York. We have done business with Robert Green Truck Division for over a decade. RGTD offers a wide range of inventory from Chevy, Ram, Hino, and even Mitsubishi Fuso. Kilar Fabrication highly values faith, family, and hardwork. In order to keep those values in perspective, we would like to announce that we will shut down our operation from Monday, December 24th through Tuesday, January 1st for the Holiday season. We value and recognize the dedication, hard work, and sacrifice from our team at Kilar. In order to thank our staff for their diligence and to continue putting family first, we will go on break for all our employees to enjoy time together with their families during the best time of year. If you have any questions, feel free to contact us at our main number: (330) 534-8961. We wish you a Merry Christmas, safe travels, and a Happy New Year! ​​It is with sadness, but warm wishes to announce the retirement of Rob Kelley, effective July 26th. Rob has been a part of our team for many years. Rob played a vital role in the manufacturing process at our company. His work ethic and diligence made him a pleasure to work with each day. We would like to recognize Rob as an Army veteran, and thank him for his service during Desert Storm. We honored him with a company luncheon and celebration. We would like to wish him and his wife, Paula, a wonderful beginning in their new chapter in life with good health, memories, and success! Thank you, Rob Kelley for serving our country and contributing to the success of Kilar Fabrication. ​We will miss you! Kilar Fabrication is thrilled to be represented at the Cleveland (OH) Auto Show. This Auto Show has been a tradition in Northeast Ohio since 1903, and features concept, pre-production, and production vehicles from the world's auto manufacturers. One of our loyal dealers, Len Zermenos, brought along a Kilar rollback to the show. The Cleveland Auto Show continues until March 3, 2019. The Kilar Fabrication family came together with their spouses and children for the Annual Kilar Company Christmas Party on December 7th. It was a festive time filled with love, laughter, and memories. The children got to see Santa and Mrs. Claus, and all were able to enjoy a delicious meal catered by the Gentry (Hubbard, OH). We keep our focus on God first, and always look for ways to better serve our work family. The founder of our company (Tom Kilar Sr.) instilled in us to strive to help others, and to take care of our employees as we take care of our family. We wish you a very Merry Christmas, and a safe New Year! We cannot wait to see what the year 2019 brings! 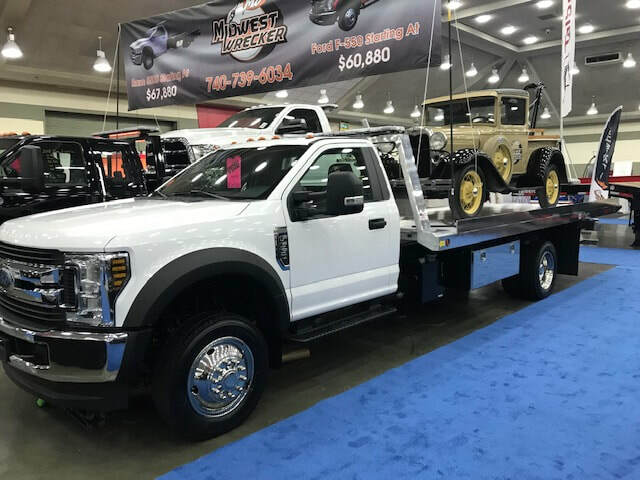 ​Kilar Fabrication was honored to have been represented at the 30th Anniversary of the American Towman's Exposition, in Baltimore, Maryland. 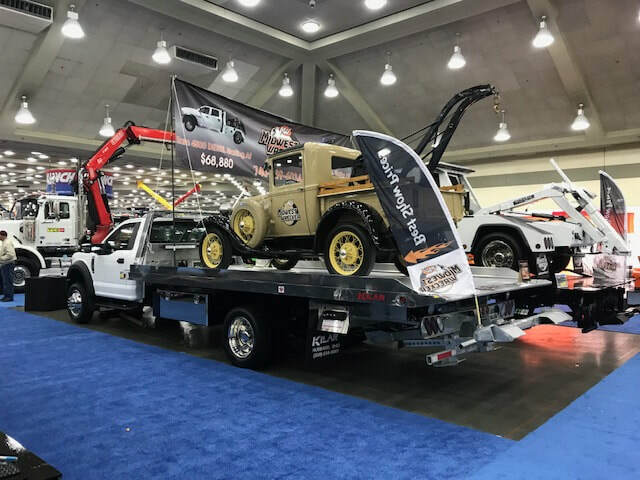 One of our loyal dealers, Midwest Wreckers, brought along a Kilar car carrier to the show.